Operating as a complete solution service provider, we understand the importance of an effective management team. Hampton’s team contribute skill and expertise to ensure we are the most productive and cost-effective solution for our clients. With regular safety audits and an experienced team, our projects are operated smoothly and safely from start to finish. Hampton's mining division has an excellent record in establishing infrastructure and operating efficient and economical mines. On Thursday the 23rd of October 2014, Hampton Transport Services Pty Ltd formally completed its Stage 2 certification audit to Australian Standard 4801 (occupational health and safety management systems). This achievement is the culmination of almost two years of preparation to ensure that our HSE (health, safety and environmental) management systems were sufficiently robust and effectively implemented to achieve certification. 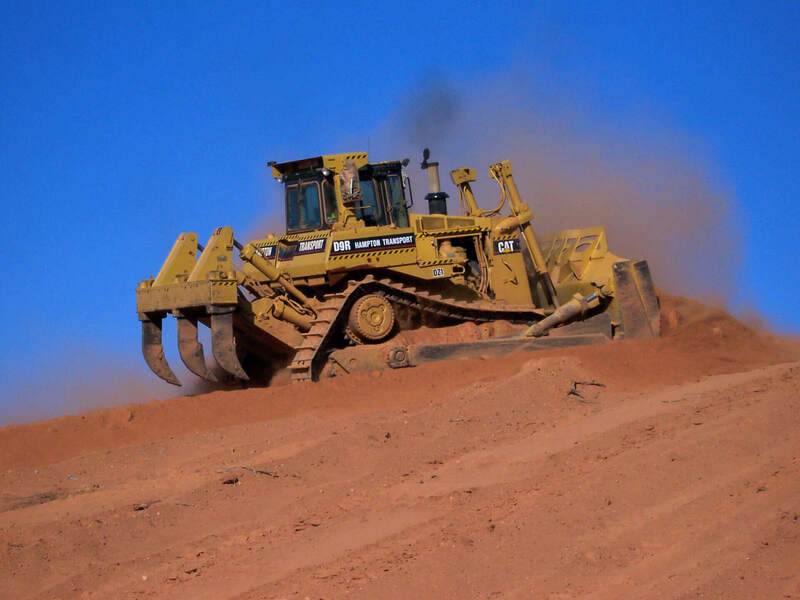 Provision of open pit mining, bulk haulage, heavy haulage, civil earthworks, haul road construction. Transport of Class 3 Dangerous Goods. Maintenance of mobile plant and equipment. Achieving and maintaining these certification into the future ensures another layer of auditing of our HSE management systems, in addition to the internal audit program. An annual external audit will also ensure that we continue to maintain and improve our systems, and that they are suitable and comprehensive for our business operations. 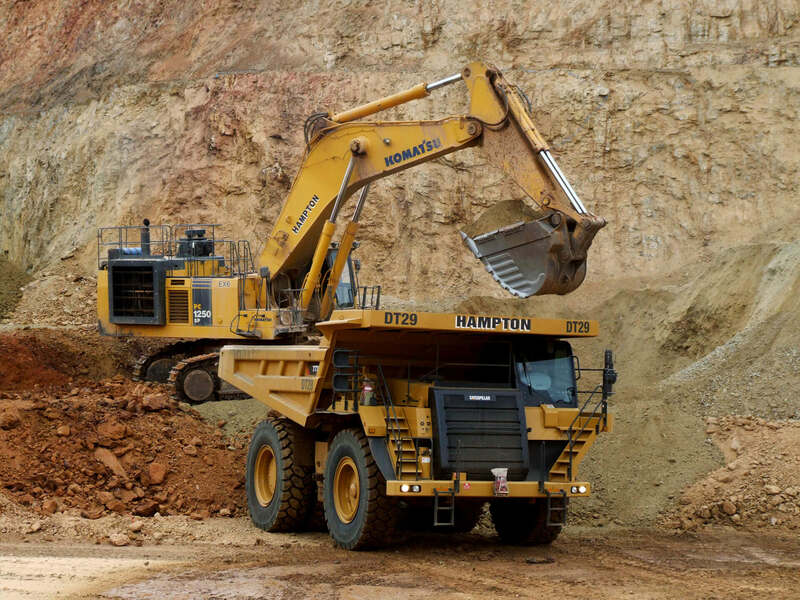 Hampton has a modern fleet of excavation equipment, enabling flexibly to mine a variety of projects. The most common services we provide are 45 and 90 tonne excavators with a 40 tonne articulated dump truck fleet, and 120 and 150 tonne excavators with a 100 tonne dump truck fleet. No matter the location, we offer our clients a complete mining service with experienced company-employed personnel. 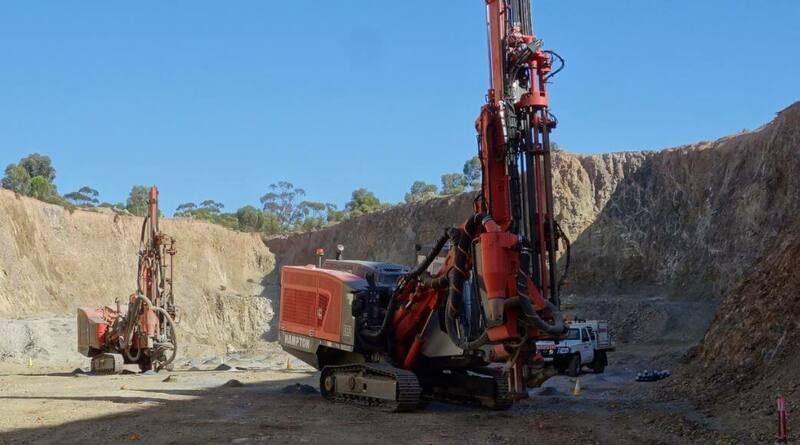 Operating a fleet of Sandvik top-hammer drill rigs, we are equipped to cover all drill and blast requirements. Every drill and blast outfit is operated by experienced company-employed personnel. We can correctly apply our technical and practical expertise as an integrated complete solution approach to any mining environment. We have a proven track record of cost effective best practice. Our team consists of experienced drillers, shot firers, blast crew and drill and blast engineers. This dynamic mix gives our company the flexibility to cater for all drill and blast applications. We also have established relationships with explosive suppliers and external technical experts. 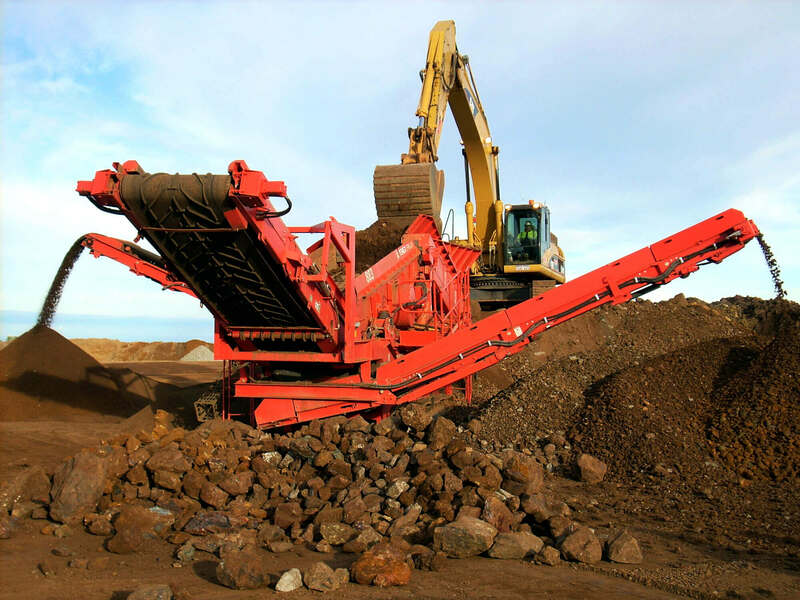 Hampton has a team of experienced personnel dedicated to mobile crushing and screening services. provide road base and aggregate products. The fleet of track mounted mobile equipment allows us to offer cost-effective solutions for a broad range of projects at a short lead time. 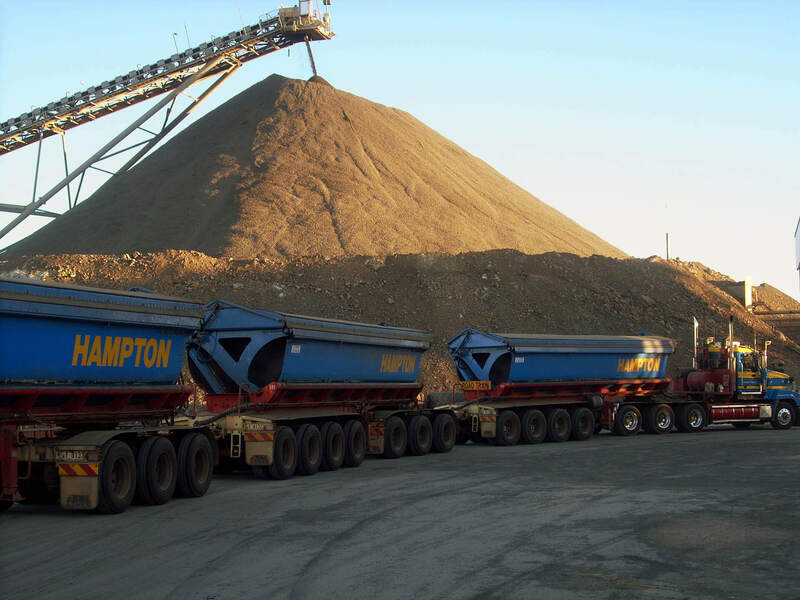 Hampton has been offering ore haulage services to clients for well over 20 years, including current and past major contracts in Western Australia and the Northern Territory. Working closely with tipping equipment manufacturers, Hampton units are designed to the specific requirements of individual clients. We offer a cost-effective haulage solution, satisfying local and state government operating standards. 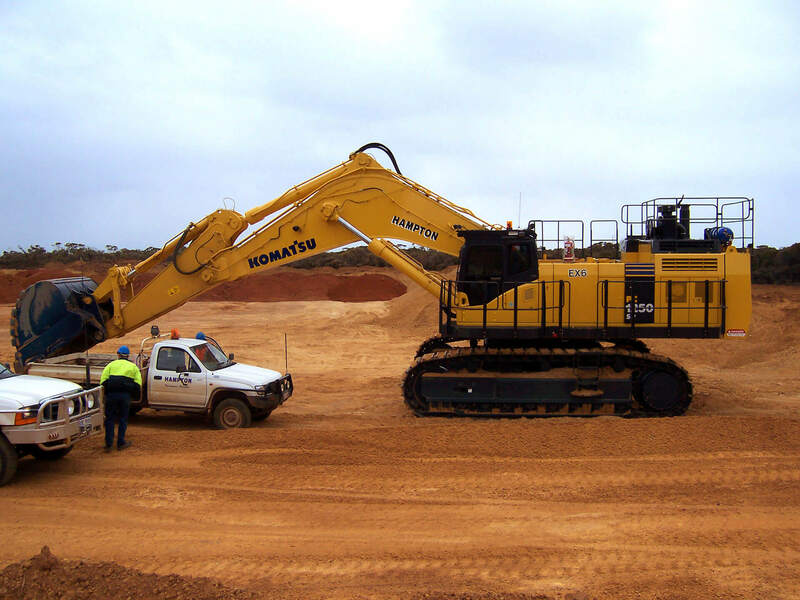 Various fleets of equipment can be brought together anywhere in Australia to complete required works, large or small.